5-star Notice posted on: 8 feb 2019. Wonderful weekend spent in Crans Montana Golf Hotel ! The hotel enjoys a location at the top : the view over the golf course and the surrounding mountains is breathtaking. The welcome is warm, the cuisine and the staff is attentive to your needs. Special Mention for the spa and massage treatments that you requinquent after a good day of skiing. With my partner, we have chosen to celebrate his birthday, a getaway in a chic place in the mountains. Our choice has proved to be fantastic throughout our stay ! Upon our arrival we received a wonderful welcome! The room that we had reserved had a panoramic view of the mountains ! In the evening we chose to eat in the hotel. To celebrate the birthday of my friend I had ordered a small cake . The dinner was delicious and the ambiance very pleasant with the pianist Italian. The next day, after we feasted at the buffet breakfast, we drive by the shuttle bus of the hotel until the departure of the ski slopes. In the late afternoon we took advantage of the beautiful heated pool of the hotel and the spa. We had booked massages in the duo! A dream ! For dinner we chose to taste the local specialties in the restaurant Le Chalet, which was recommended to us by the concierge ! A squeegee excellent accompanied by a white wine of the country! A mountain setting and a friendly staff and very attentive. With my partner, we decided to relive that wonderful weekend in February ! Located next to the golf course in Montana and near a small lake, this Palace hotel enjoys a superb situation. The north façade of the building is not very beautiful, but the one bordering the golf course is splendid and the rooms that overlook this area benefit from a wonderful panorama. Our room and the entire hotel are old-style and high-priced. Special Mention for the decor-very chic bar and 2 restaurants. The pool is beautiful, we spent 2 hours of the dream in this wonderful place. The ceiling of the swimming pool is removable to get down, cover the water and make a floor of a way to organize holiday in this idyllic setting. Throughout our stay, we enjoyed the friendliness of the staff and members of management, in particular the fact that the animals are really welcome in this hotel, our dog took advantage of it. Everything was exceptional, the welcome,service and report quality price, it's worth the detour! It really is a true 5-star. We do not regret, everything was perfect! In addition to the beautiful weather, we spent a very good stay. The staff pleasant, nice, and very warm. Again a thank you to the whole team, really great. 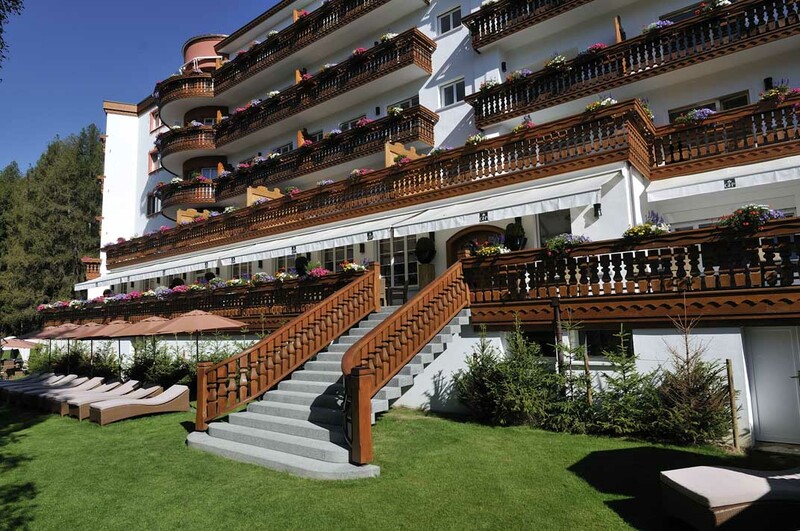 Wonderfully located on the golf course of the Omega European Masters in the summer and cross-country ski trails in the winter, the hotel enjoys an exceptional view on the Alps. Central location, quiet & very sunny. The Grand Hotel du Golf & Palace offers its guests 85 rooms and suites, 2 restaurants with 2 heads Italian & lebanese, Lounge Bar & Piano bar, lounges, Valmont & Carita Spa of 800 m2, a heated indoor swimming pool, a park of 3 hectares, as well as its seminar rooms, and congress. Come and discover our services. Take advantage of our home. The atmosphere is elegant and refined rooms and suites, the attention to detail, a discrete and effective service to satisfy the most demanding requests. All rooms and suites overlooking a unique panorama of rare beauty. Three acres of garden merges seamlessly with the golf course of the Omega European Masters in the summer, cross-country ski trails in the winter and in the background the chain of the valais Alps. our rooms and suites are here ! 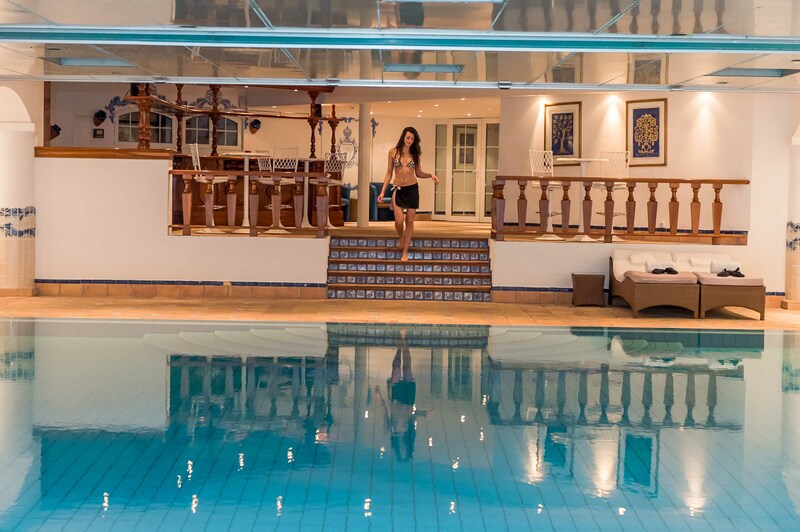 The heated indoor swimming pool of the Grand Hôtel du Golf & Palace is open every day from 08’00 to 20’00 hours for its guests. The pool is also open to persons not resident at the Hotel. Discover your new universe of well-being and relaxation! Dédentez you in an exceptional setting. at the Grand Hotel du Golf & Palace. With your laptop you connect to the internet as well in the gardens throughout the hotel. You will also have the option of using fixed stations located near the reception.